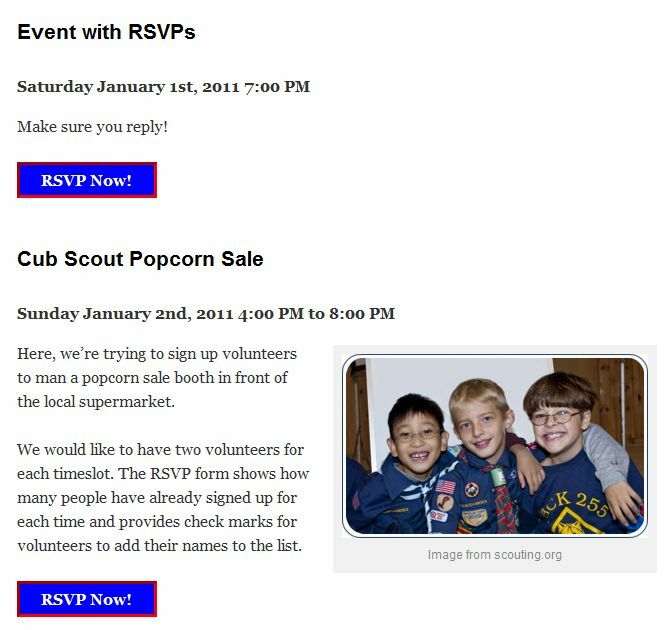 When a single event is displayed, the standard single post template may tend to cause confusion because it juxtaposes the posting date with the event date. This is particularly a concern for post templates that feature the publication date prominently at the top of the post. 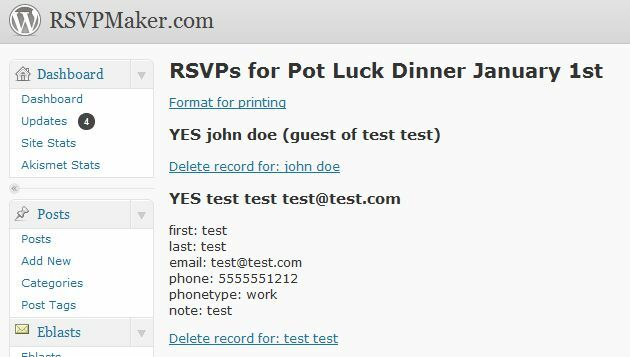 You can avoid this problem by adding a single-rsvpmaker.php file to your theme. 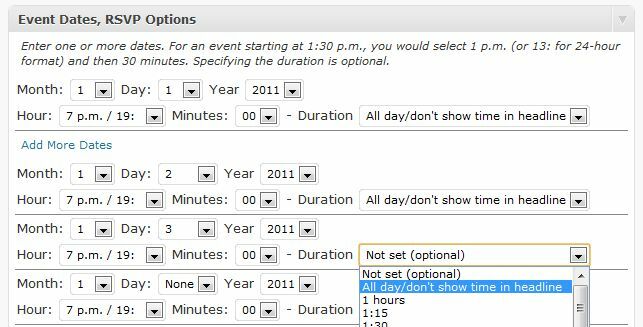 WordPress will load this instead of the single.php template for an event post type. 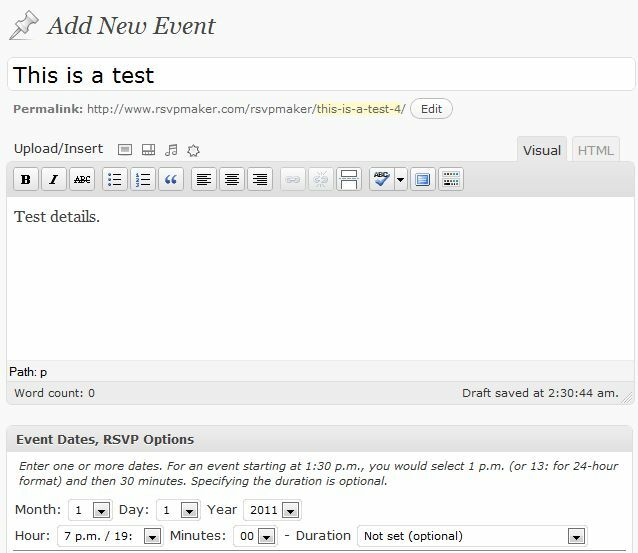 A sample single-rsvpmaker.php file for the Twentyten theme is included with the RSVPMaker download, but you must copy it from the plugin folder to the theme folder to get it to take effect. Note that this file may not work with themes other than Twentyten without modification. 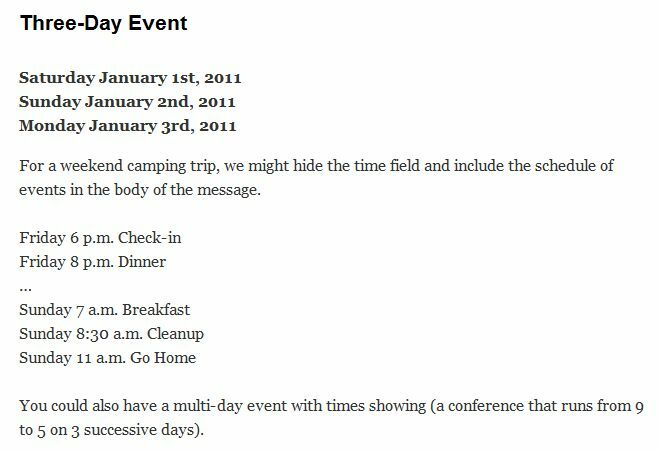 Most themes include a single.php file that you can modify to remove (or de-emphasize) the code that outputs the post publication date. 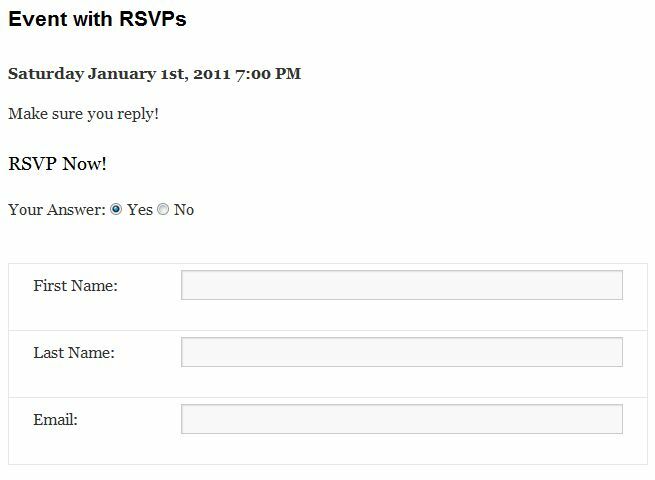 I also recommend removing the code that outputs the comments template because people tend to be confused by having two forms on the page (the RSVP form and the comment form). 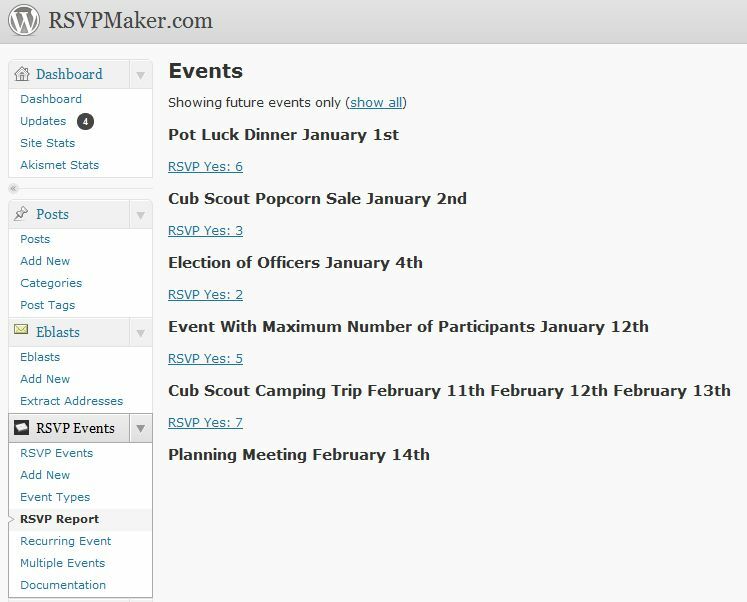 Updated 12/29/2010 to reflect change in file naming (single-rsvpmaker.php rather than single-event.php). I’m planning to introduce support for translation in the next update. So far, I’ve got interest in French and Danish. I’m a mono-linguistic American, so my contribution will be limited to tagging words and phrases for translation and looking for collaborators who can do the actual translating. 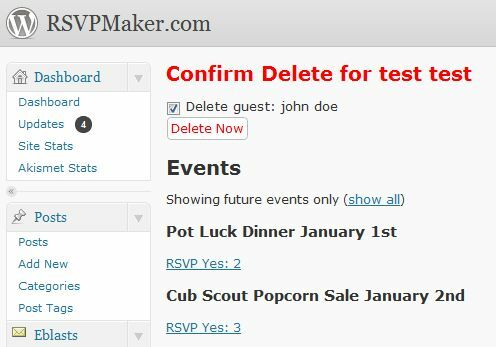 Update 12/29/2010: I’ve finished flagging most of the elements in the user interface that I thought might need to be translated and have added them to the file rsvp.pot in the plugins/rsvpmaker/translations subdirectory of the latest release. 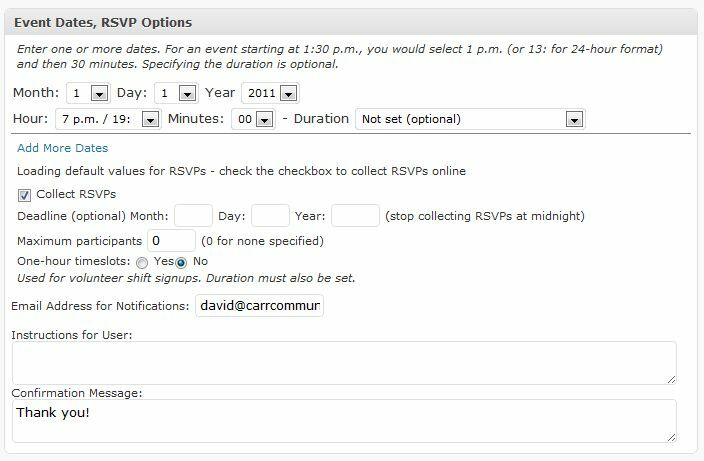 This is the “catalog” file that you load into a tool such as POEdit to translate words and phrases such as “RSVP Now!” into whatever makes more sense in a given language. Send me your translations to be included with a future release, and I will be happy to credit your contribution. A few users who have tried the RSVPMaker plugin report problems with getting 404 page not found errors when they try to follow a link to one of these entries. Let me know if you experience this issue, as I’m trying to track down the cause. It seems to work fine for most people, but I may be running into some kind of clash with other plugins that manipulate the WP rewrite rules object. One website manager I’ve been working with has it functioning correctly on one site she manages, but not another. Very puzzling. 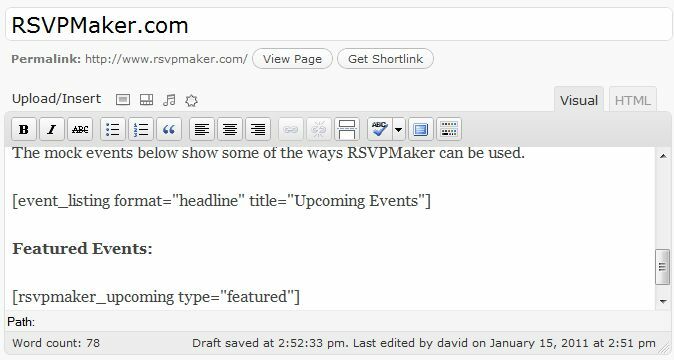 Update: 12/29/2010: I think I’ve now resolved this issue by changing some of the code that sets up the custom post type and sets the rewrite rules.